Motor Carrier Insurance usually will fall under three categories. Local, Intermediate, and Long-Haul. We work hard to ensure that you receive the right coverage to keep you and your truck moving. Below are just some of the coverages we offer for the Motor Carrier Industry. Commercial Auto: Not only do you carry the usual in Physical Damage and Bodily Injury, but in some cases you would need the Uniform Intermodel Interchange Endorsement (UIIE). This provides coverages for motor carriers entering an intermodal facility to pick up or drop off intermodal equipment and cargo. Bobtail/Deadhead Coverage: Provides coverage for motor carriers operating under another entity’s hauling authority. Motor Cargo: Whether you haul cargo that you own, cargo owned by others, or you’re making a one-time shipment, make sure that it is properly protected. 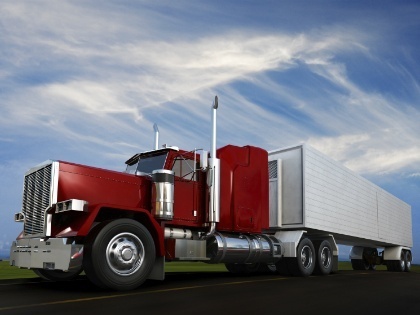 There are several types and classes of motor cargo coverage available. It is best to discuss this with our agents to determine the type of cargo coverage you would need to protect you. Workers’ Compensation: Payroll for Workers’ Compensation in trucking can usually be split between your long haul and short haul (less than 200 miles) operations. Some companies are exempt from WC requirements. Check with an agent to determine eligibility. Package Policies: In some instances, package policies can be purchased to cover your building and Business Personal Property, tools and equipment coverages, and the General Liability. Loss Control: Our agents along with most of our carriers offer loss control as an additional service, often free of charge, when you purchase your coverage from them. Training and help in reducing loss can become very valuable in the event claims are present and coverage is contingent on an active loss control plan. In Georgia, the Motor Carrier market is volatile. It is imperative to take every precaution necessary in order to receive the best rate possible for the coverage you need. Let our experts in trucking work with you to determine which coverage you need and shop the best rate around.